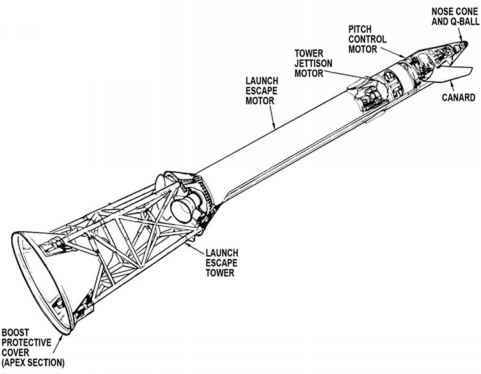 In the Christmas season of 1968, with a little over two hours to go before they entered lunar orbit, the CMP of Apollo 8, Jim Lovell, pointed out that despite their pioneering journey, something was missing. ''Roger,'' came the reply from Capcom Gerry Carr. A few moments after pondering this point, he sought a degree of elaboration. The acerbic reply from LMP Bill Anders shed new light on the truth of the astronauts' great adventure. ''Roger,'' was all Carr could say, for Anders's comment was so true. Despite being nearer to the Moon than any human in history, and with the exception of some sightings that Lovell had made through the spacecraft's optics, this crew had yet to view their quarry. This was partly because the three largest of their five windows had fogged up owing to a design problem with the sealant around them. Additionally, they had spent most of their time during the coast broadside to the Sun, twirling slowly in the barbecue mode, in which attitude their two good windows, which looked along the direction the craft was pointed, showing only deep space. As with many of the moon shots, Apollo 8 arrived over the western side of the lunar disk at the same time as the Sun was rising over the eastern side. The nearer they got to the Moon, the closer it came into line with the Sun until, in the final few hours before arrival, the spacecraft entered the Moon's shadow and plunged the crew into darkness. Apollo 10 arrived at the Moon under similar lighting conditions and its commander Tom Stafford still gained no view of the approaching planet. ''Roger, 10. That's guaranteed; it's there,'' said Charlie Duke in mission control. Stafford's LMP Eugene Cernan couldn't catch a glimpse of it either, but the next time he journeyed to the Moon as the commander of Apollo 17, he got an eyeful. 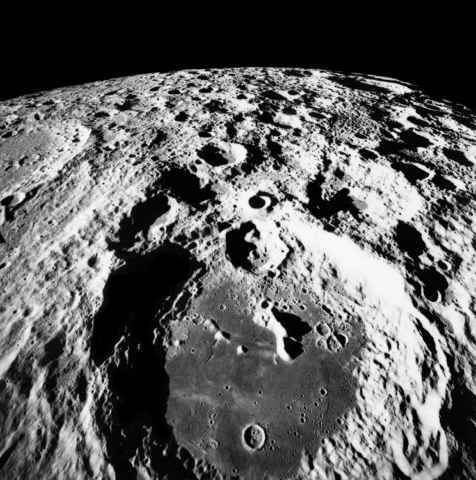 The Moon's far side, as photographed by Apollo 17's mapping camera. In the foreground is the 135-kilometre crater Aitken. Cernan was one of the few Apollo astronauts who had a natural ability to convey to the lay person some of the emotion and depth of the Moon-flight experience. Although he had been there before, the approach of this serene orb stunned him, and in his memoirs he expanded on this first glimpse. Cernan was also struck at how this extraordinary initial scene even managed to mute his LMP, geologist-astronaut and incessant talker, Jack Schmitt. Apollo 11 was the first flight to afford an approaching crew a view of the Moon. They did not require a final mid-course correction, and this gave them the time to take the opportunity to turn the spacecraft around, and for the first time see the Sun-blasted world they were about to explore loom in front of them. Mike Collins wrote about the shock he felt at what he saw. This most poetic of all the astronauts had managed to glimpse the Moon at an opportune moment, just as they were about to enter its shadow. They then flew over an eerie landscape: the near side was dimly illuminated by Earthshine and a part of the far side which, owing to their vantage point was visible to them as a crescent, was as black as could be. Collins was struck by the interplay of the three lighting effects on the Moon; the Sun's corona, the dim light from Earth and the deep black of the star-peppered sky, combining to gently illuminate the lunar surface below with a bluish light.